Spotlight on Hope is in Orchard Park, New York. The 501 c 3 not for profit is all about drawing out the creativity in others - photography is one art form. 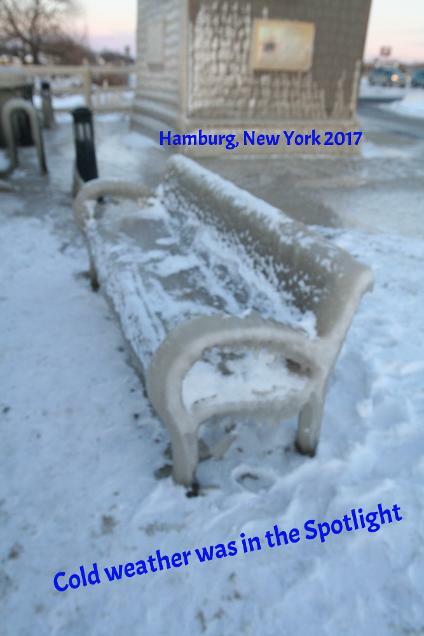 The Spotlight camera was in action in New York's winter. Yes, that's all ice on the bench, sidewalk, and building from the midst of Lake Erie. Got to love it!! 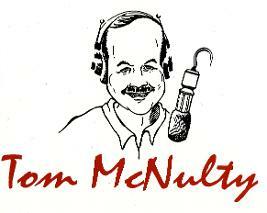 After a combined 18 years on radio, Tom McNulty is moving Spotlight on Health to television. It will be WNY's only, weekly, health talk television show featuring local health, medical, and behavioral health experts. Interested in sponsorship? Of course you are...please call Tom at (716) 481-4578. Welcome to our new annual project, Spotlight on Hope’s Christmas Angels. You might be saying, “isn’t this the guy who does the NAMI one?” Same guy. New Organization. New name. Same project – our Kids are now our Christmas Angels!You are receiving this because you are one of the loyal supporters and we’d love you to join us this year! They are 600+ children, mostly between the ages of 8-18 who will spend the holidays in some form of psychiatric and mental health care. Often forgotten, they are in hospitals, foster homes, outpatient centers and safe homes. They have severe psychiatric disorders, physical abuse, sexual abuse or depression, eating disorders, and much more. Some have supportive families; many do not have a strong support system around them. Many are veteran’s children getting help through our friends at WNY HEROES. What do our “Kids” need? Please help us provide our Angels with a day of happiness. We need your help to gather unwrapped, age appropriate gifts for our Angels where you work, at school, your neighborhood, place of worship, or personally. Cash/check donations help us backup the gaps of things that don’t come in. We ask for board games, art supplies, stuffed animals, blankets, athletic socks, footballs/basketballs/kick balls, Bills/Sabres sweatshirts, gloves/scarves/mittens, beauty supplies (shampoo, toothpaste, body wash), batteries, books, journals/diaries, and gift cards – Gift cards help the agencies we serve get games and toys everyone can use or even a holiday turkey for all to share! Start collecting NOW. Many might “adopt” us as their holiday community project. That works great! Yes, donations are tax deductible as Spotlight on Hope, Inc. is a 501 c 3 not for profit since 2005…and…we are a member of NAMI! We pick up on Thursday, December 13th and Friday the 14th and WRAPPING DAY is half a day at 10:00 a.m. on Saturday, December 15th. Then the agencies take the gifts to their ANGELS for that wonderful day of Christmas happiness! Follow the story on Facebook at Spotlight on Hope, Inc. QUESTIONS: Call Tom McNulty at (716) 481-4578. I can’t wait to see you all! OH, YEAH… Checks should be made out to: SPOTLIGHT ON HOPE, INC. and put in the Memo section Christmas Angels. Please mail to: 78 Old Farm Road Orchard Park, N.Y. 14127-2824. Thank you. Merry Christmas and Happy New Year!!! http://www.facebook.com/pages/Spotlight-on-Hope-Inc/123410711050063 Spotlight on Hope, Inc.
"Searching for Hope" by photographer, Tom McNulty. 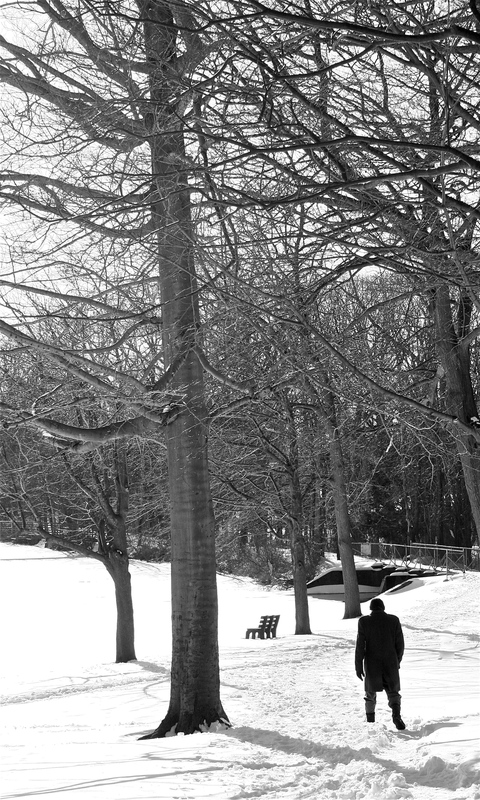 Taken at Green Lake at Yates Park in the town of Orchard Park, New York. Winter is beautiful and it does bring hope. Spotlight on Hope, Inc. is a not for profit 501 (c) 3 organization located in New York. Spotlight on Hope uses the creative arts of film, dance, music, word, radio, photography, television, theater, web and art to advance health, medical, behavioral health and social information to targeted audiences. Established as a New York State corporation in 2004, Spotlight received its Federal not for profit approval on September 23, 2005. Spotlight on Hope, Inc. is registered with the New York State Charities Bureau. The vision of the organization is to take full advantage of all the creative arts offer to advance critical medical, behavioral health and social information in progressive and innovative ways. Tired of the same old PowerPoint presentations? Do you need a new and engaging way to reach your targeted audience? Spotlight on Hope staff can orchestrate a program or presentation that gives new life and impact to your message. We offer a wonderful avenue for audiences to be exposed to the arts while learning important health information. Keep an open mind and watch the creativity explode resulting in a wonderful outcome-driven production. Please visit our site often and see what projects are underway. Ready to Get in the Spotlight? Check Us Out on Facebook & Click the Link below for a 60 second overview of Spotlight on Hope, Inc.
REACH OUT TO A FRIEND WHO MIGHT BE DOWN AND OUT.